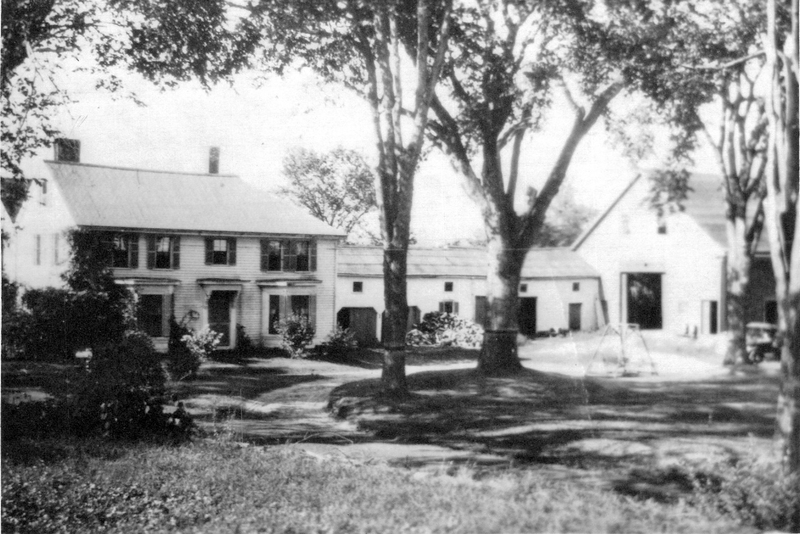 Georgian-simple Colonial farmhouse, exact date unknown -described as 'pre-Revolutionary farmhouse"
There are eight spellings in the Andover Vital Records for Haggett: Hagget, Haggett, Haggit, Haggith, Haggitt, Hagitte, Heiget, Heighett. Haggett’s Pond is named for the Haggett family but prior to the name change it was referenced in deeds in 1679 as Five-mile Pond and also Blanchard’s Pond. Henry Jacques owned land here before 1644/45, but did not live here. 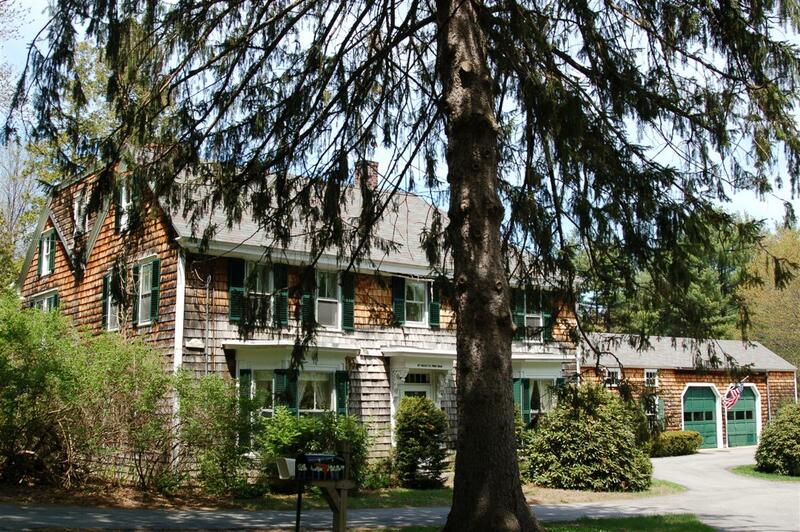 Jacques sold his land rights to Samuel Blanchard, who was a selectman (1683) large landholder and had a Garrison House near Haggett's Pond. Moses Haggett (I) bought land in 1679 from brother-in-law, Stephen Johnson "14 acres of upland and 7 acres marsh, southwest side of Pond agreeing to pay twelve shillings a year to all charges of church and towne.” Moses Haggett b. 1650 Ipswich, married in Andover on Oct. 23, 1671 to Joanna Johnson b. 1651 in Ipswich, MA dau. of John & Susanna (Munter) Johnson who later moved to Andover. They had five children; Moses b. 1675, William b. 1677, Timothy b. Jan 26, 1681, Thomas b. Oct. 10, 1684 and Henry b. 1695. Joanna died in 1715. It is unknown when Moses died but if he followed British tradition oldest son Moses would have inherited. We do know his brothers William and Timothy both held property nearby and may have shared the homestead. William’s son Thomas sold the homestead to Joseph Burtt in 1755. Oldest son Moses (Heigett) Haggett (II) b. 1675, a Husbandman, married Martha Grangier on Feb. 21, 1699. Moses & Martha had ten children; Martha b. Jan 31, 1700, Mary b. 1702, Moses b. 1703/4, Joanah b. 1705, child b. Aug. 21, 1709, child b. Feb. 18, 1710/11, Henery b. July 20, 1714, Sarah b. Aug. 8, 1715, Deborah b. Apr. 26, 1719 and Phebe bpt. Mar. 6, 1726. It appears that Moses built a home at 36 Haggetts Pond Rd. as the ownership line follows to that location. Brother William Haggett, Husbandman, b. 1677 Andover, married May 13, 1707 to Mary Adams b. Sept. 25, 1685 in Chelmsford, MA. 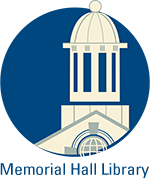 William & Mary had seven Children: Mary b. Oct. 15, 1709, William Jr. Feb. 22, 1710-11, Henry b. Jul 15, 1713, Abigail bp. May 23, 1714, Jonathan b. Apr. 8, 1716, Margaret b. Apr. 19, 1719, Thomas b. July 1, 1722. William Sr. died May 20, 1727 and widow Mary in 1728. 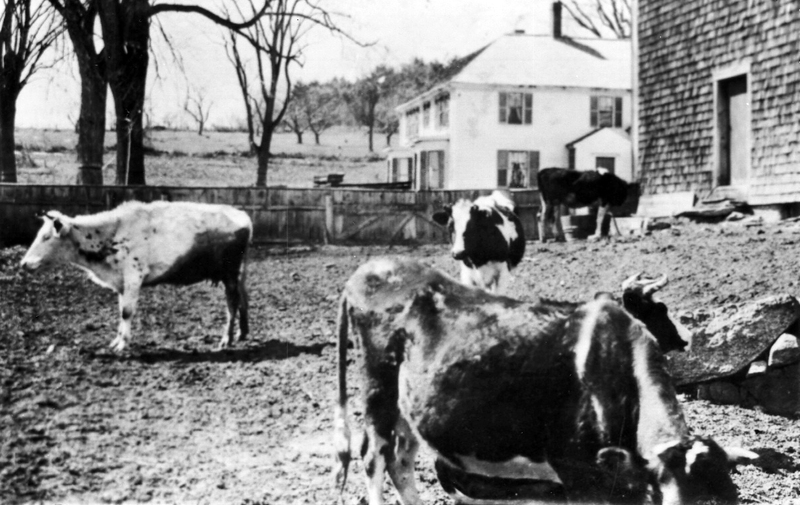 William Jr. was only 17 when his father deeds the farm to him on April 10, 1727. It includes the homestead west of Blanchard’s Pond, the south and west part of the meadow south of my farm called Haggitt’s Farm, 2 acre of swamp, 20 acres on west side of Wood Hill, lots in Billerica and all his farm stock. Thomas Haggett b. 1722, Husbandman, married Mar. 12, 1745 to Susanna Adams of Chelmsford, b. July 22, 1723 dau. of Pelatiah S. & Lydia (Fletcher) Adams. A deed to Thomas from his brother William Jr. has not been found. Thomas & Susanna had ten children; Susanna b. June 13, 1746-d 1747, Thomas b. Jan 19, 1747, Abigail b. Jan. 30, 1749, William b. May 27, 1752, Lydea b. May 2, 1755, Joseph b. Oct. 1759-d. 1760, Jonathan b. May 28, 1761, Mary b. Jan. 8, 1764, Jessie b. Jan. 23, 1765 and Olive b. July 24, 1768. Thomas Haggett, wife Susanna, later sold the farm to Joseph Burtt of Wilmington on Feb. 17, 1755, rec. on Oct. 31, 1765 which included 12 acres with buildings. Joseph Burtt was b. Nov. 9, 1726, married Abiah Mooar b. 1741 - d. 1828. Joseph was a Private in the Revolutionary War, in Capt. Joshua Holt's 4th Andover Company, who marched to the alarm on April 19, 1775 to Cambridge, MA. Joseph Burtt raised hops on land here and 1765-1792, was involved in other land purchases in West Andover. Joseph & Abiah Burtt's son Jedediah b. 1769 married Feb. 7, 1792, Sarah E. Manning b. May 29,1774, dau. of Thomas & Mehitable (Kidder) Manning. Jedediah and Sarah had four children: Jedediah Jr. b. 1804 - d. 1891, Henry b. 1807 - d. 1881, William b. 1809 -d. 1840 and Joseph Manning b. 1817 - d. 1904. Jedediah Burtt purchased for 100 pounds, 35 acres of land 1/4 mile from the south end of Haggett's Pond on Apr. 9, 1794. Jedediah purchased a 45 acre farm with house and barn and other buildings on Mar. 16, 1810 and acquired another 25 acres on the south side of Wood Hill from Simon Furbush for $600 April 19, 1825. Sarah died on Feb. 16, 1828 at age 53 and Jedediah on Dec. 24, 1831 age 62. They are interred at West Parish Cemetery. Their son, Jedidiah Burtt Jr. b. Feb. 6, 1804 inherited land and buildings (see 1830 Dorman map). He enlarged, added west room. Jedediah was married on June 12, 1828 to Mary Needham of Billerica, MA. b. 1799 - d. 1886. Jedediah & Mary had eight children: William Henry b. 1829 - d. 1900, Charles Fisk b. 1831 - d. 1831, George Nelson b. 1832 - d. 1906, Francis Edward b. 1833 - d. 1898, Abba "Abby" Frances Caldwell b. 1836 - d. 1905, Mary Louise b. 1838 - d. 1840, Sarah Elizabeth b. 1840 - d. 1905 and Joseph Albert b. 1842 - d. 1905. The 1850 Andover Valuation Schedule lists Jedediah Burtt farm with 200 acres. Dwelling house $900, Barn & other blds. $200., 9 acre land in 3 closes, 7 A lower pasture, 25a Home & calf pasture $940, 5a Clover piece $130, 26 1/2 acre Home lot & Pine Orchard $795, 27 acre Pond swamp, 2 1/2 acre Bald Hill meadow $50, 20 acre lot $320, 10a Gate Pasture $180, 15a Wood Hill $450, 30a Abbott lot $750. and 23a lot. of Boynton $368. - farm stock and carriage $344. Wife Mary died in 1886 and Jedediah Burtt died on June 18, 1891 at age 87. Their children inherit the farm. Daughter Abby appears to have remained on the farm and died on June 15, 1905. 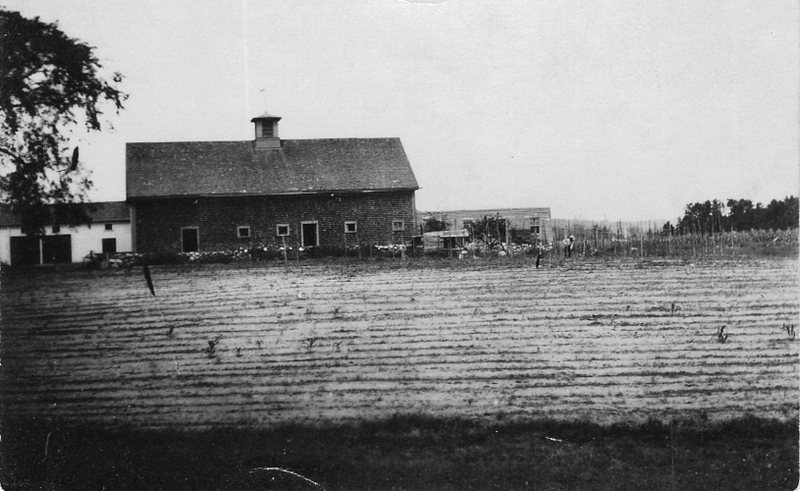 The Burtt farm was then sold to Walter N. Burtt at auction on June 26, 1907 for $1016.67. Walter then sold the property to Fred E. Herson on Aug. 3, 1907. The following year Harry S. Smith and wife Eranell of Cambridge, MA bought the homestead. Smith owned for 3 years then sold to Edith R. Fraser and Lavinia A. Champion, wife of Henry B. all of Boston on Nov. 2, 1911. The farm then contained 3 parcels of land totaling 100 acres on both sides of Haggetts Pond Rd. The property remained with the Fraser family for 49 years. Jack A. & Ruth Fraser sold the farm to Phillip & Ruth Pray in 1950 and Pray owned 14 years. On March 2, 1964 the homestead was sold to Charles A. & Darcy (Scudder) Kirk. The Kirks were active in 4H clubs and had horses which were rode frequently on the property and along the old B&M Lowell to Lawrence line on the west side of the pond shore line. The Kirks owned for 44 years. 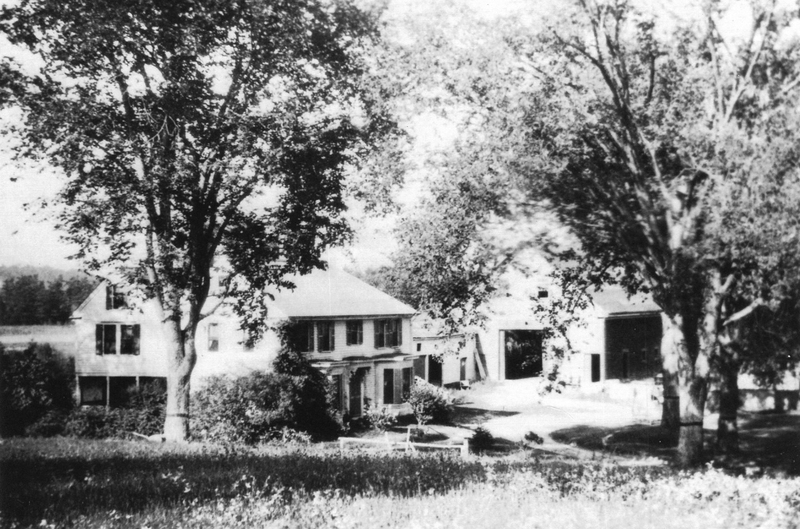 The original barn built in the 1830's was destroyed by arson fire in 1974 and replaced in 1975 by the Kirks and assisted by Architect Jane Griswald. Darcy Kirk sold the farm to Michael Ristuccia, of Ristuccia Holdings, LLC on Nov. 3, 2008. Ristuccia restored the house, up-graded the the interior. Plans to develop the vacant land were dropped when the Demoulas family offered to buy the vacant farmland. The homestead parcel was reduced to just 3/4 acre and was purchased in 2009 by Christopher & Jennifer Black. Charlotte Helen Abbott; Andover Families: "Jaques-Blanchard"
Jedediah Burtt Jr., wife Abby F. C.
Abby F. C. Burtt estate, June 15, 1905 - Albert B. & Frank K. Burt, Adms.